Home Come Back Any Time 2010 September Motorcycle Gasket cleaning tips? So I took off the oil pan and have been trying to scrape the gasket off with a razor blade. It’s not going super-well. Any other suggestions? Grind it off with a wire wheel? 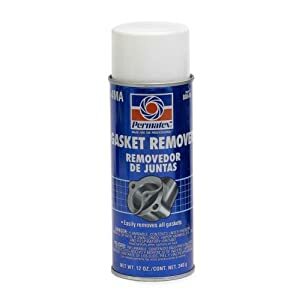 There are gasket remover sprays that can be found at any auto parts store. Spray it on, let it sit for 20 minutes, then scrape with a razor. It will come off like butter. You can also use an engine degreaser or brake cleaner, they tend to work just as well in my experience. For any lingering bits of gasket that you can’t get off easily you can use a scotchbrite pad and rub, just be careful not to get the dust anywhere it shouldn’t be.